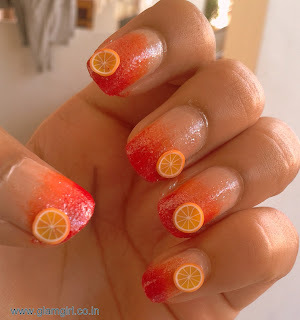 Today, I am sharing one of my favorite nail arts. Do this trendy and stylish nail to add some colors and fun in our lives. Lets begin…. Color the nail with a base coat. Now on a sponge take a drop of orange color and tap it on nails from top to bottom on the half nail. Remember you want show more color on the top and it should be visible that color on the top is darker than bottom. 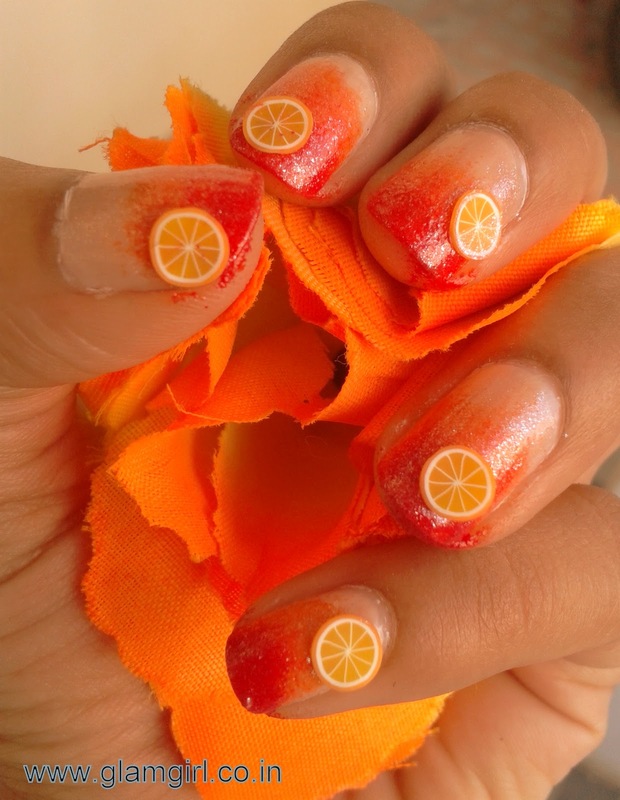 Now on the half of orange part, repeat it with the orange red color. Take a dark red color and tap it just on the top of the nail because we want to show dark red on the top. 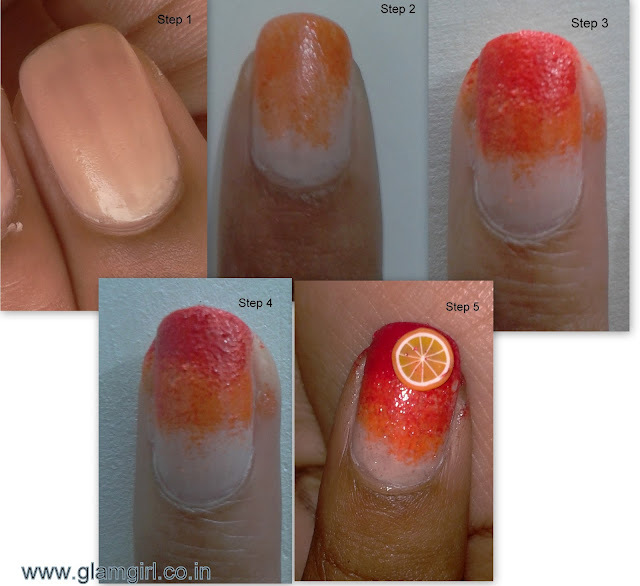 Color the whole nail with shimmer nail color and quickly paste the orange nail sticker. repeat in the same way on all the nails. Finish with top coat and clean the extra color spreaded on your fingers.